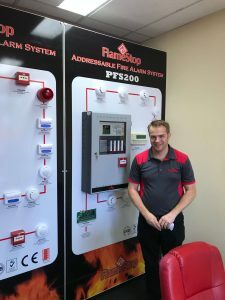 The Fire Safe ANZ project team recently met with Rob Glover from Flamestop to get hands on training on their new range of Fire Indicator Panels. These panels are available to use in new buildings or to retro fit when a sites aging system becomes too expensive or difficult to repair. How could a FlameStop Fire Indicator Panel help your business? With many buildings Fire Indicators Panels and detection systems aging and consistently showing faults or causing false alarms it can often be more economical to replace an entire system including the field devices (such a smoke detector) with a new system completely. FlameStop panels are able to be retrofitted to negate the high cost of re-cabling an entire building. With a new system you will receive a 12-month warranty and the assurance that your building is protected with a new generation system. 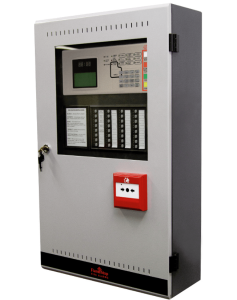 What’s so good about the new Fire Indicator Panels and Detection Systems? 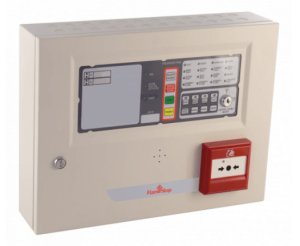 The NEW range of FlameStop conventional and addressable fire alarm panels are powerful yet user friendly. The panels are designed and manufactured to the highest standards and have the latest AS4428.3-2010 Fire Brigade Fascia, allowing ease of use for both end users and fire fighter operators. The FlameStop range of detection devices ensures fast and reliable detection in the most demanding applications here in Australia, protecting many sites and its occupants at all times in the event of fire. So if you have an aging fire indicator panel that is consistently showing faults or causing false alarms or have been given a quote to upgrade or repair an aging system, please contact us for a free consultation and a competitive quote to replace with a FlameStop system.